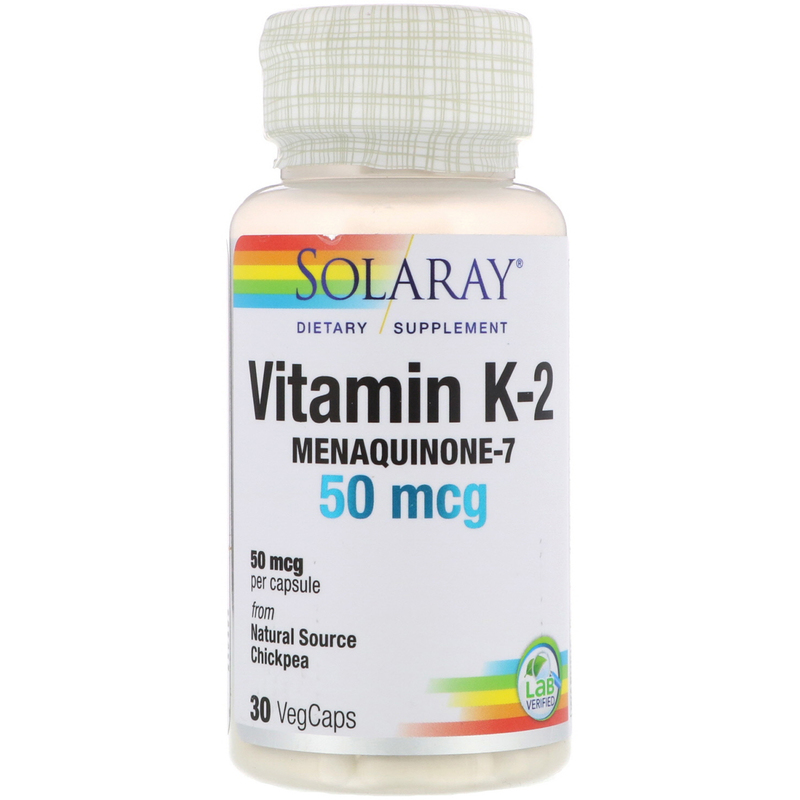 Discussion: The premium Vitamin K-2 menaquinone-7 used in this formula is derived from Chickpea, Menaquinone-7 is known to enjoy a longer half-life than other forms of Vitamin K, and is therefore believed to offer unique benefits to the body. It is intended to provide nutritive support for both bone and arterial health. Cellulose, vegetable cellulose capsule, glycerol monostearate, fermented defatted chickpea flour extract, organic rice extract blend and silica. Do not use if safety seal is broken or missing. Keep out of reach of children. 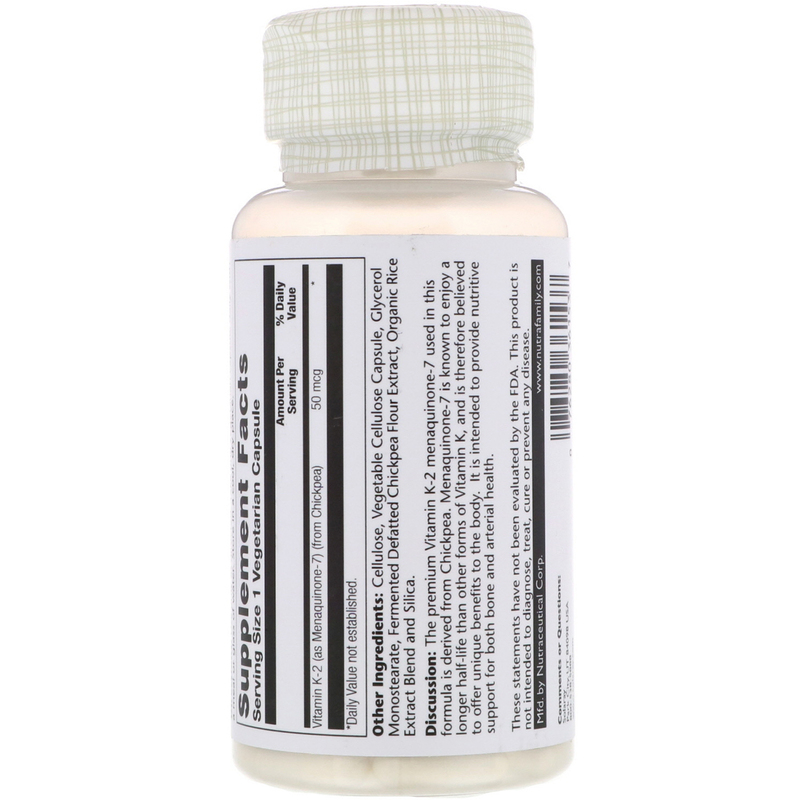 Keep your licensed care practitioner informed when using this product.